NB: I updated this post in December 2018 with new photos when I rediscovered this recipe! As I start to write this blog, I have been remembering all the delicious dishes I have cooked in the past. 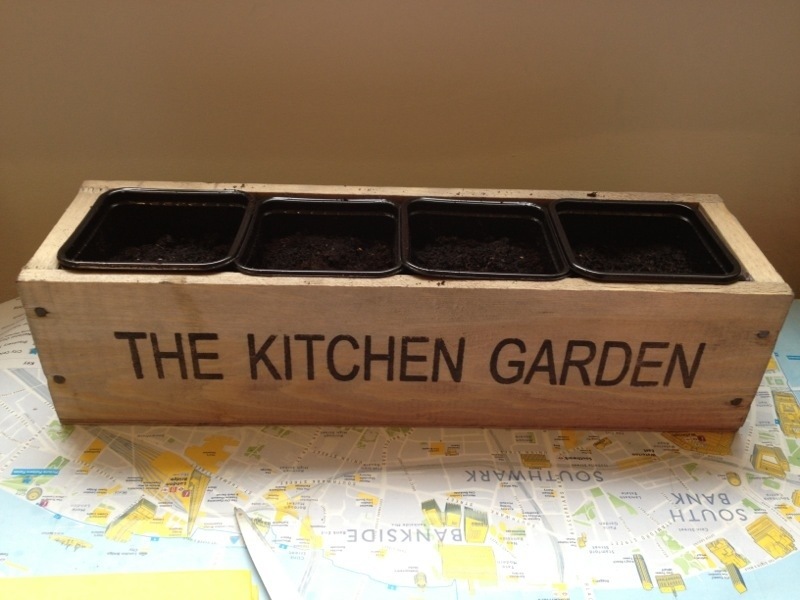 In order to inspire me in my culinary efforts, I was recently given a ‘grow-your-own-herbs’ kit, with parsley, coriander, chives and basil. 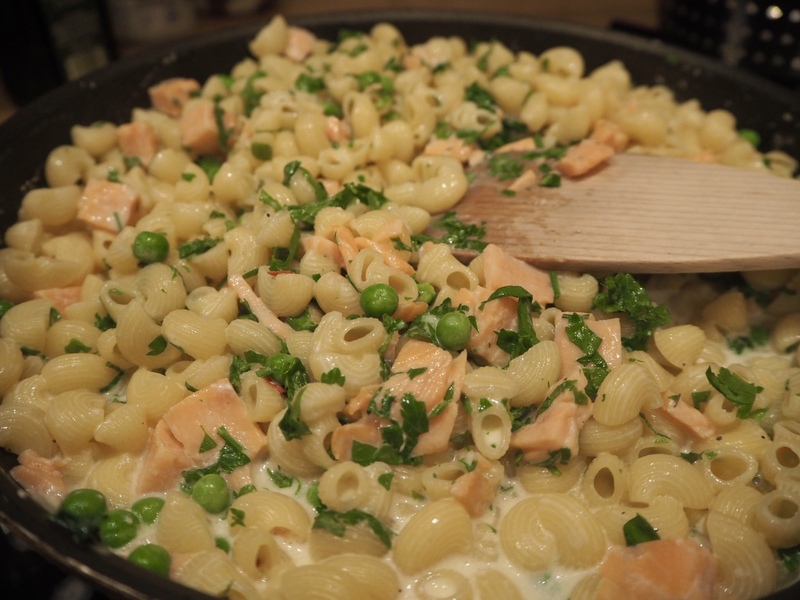 This reminded me of the delicious pasta I made recently which used fresh parsley as a garnish. 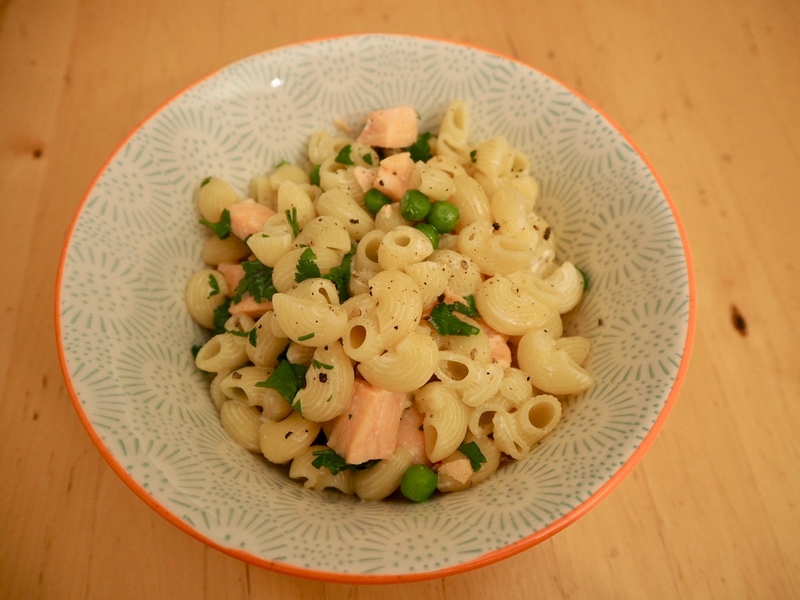 The interesting thing about this pasta dish is that it, like many other cooking efforts of mine, came from me having one ingredient in my kitchen, which then inspired me to buy everything else necessary. In this case, it was vodka. That’s right, instead of thinking about what cocktail to make, my first thought was to mix it up with cream and salmon. 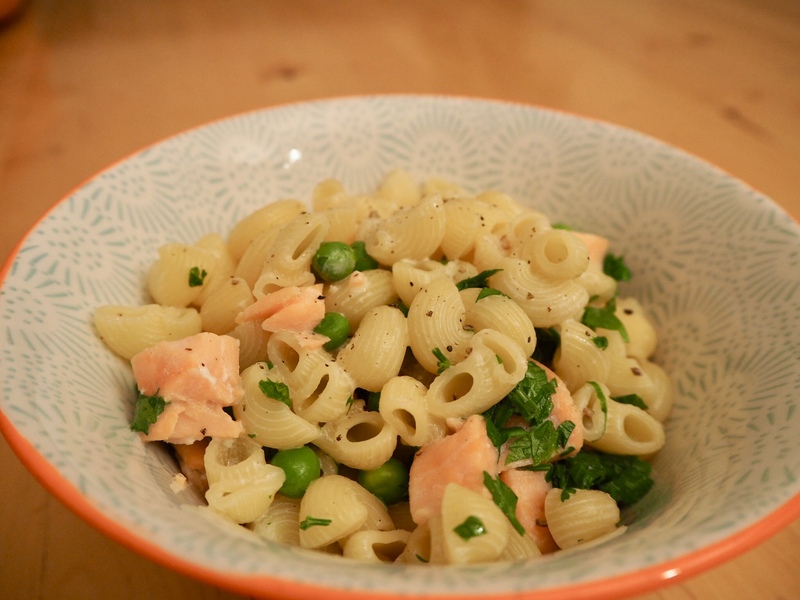 The vodka is great to dilute the sauce slightly and makes it less creamy, without losing flavour as water would. All my recipes usually serve 2 (hungry) people (or 3 with an ordinary appetite, of which I am not), unless otherwise stated. The reason I use cups is because my kitchen currently lacks scales and measuring jugs, and I find my little rice cooker cup the easiest way to measure liquids! Heat olive oil in a large frying pan or wok. When hot, add the garlic and fry for a few minutes. Then, and this is very important, take the pan OFF the heat. Pour in the cup of vodka carefully (it tends to splatter if the pan is still very hot!). Put pan back on heat, simmer and reduce by about half (or more, depending on how much alcohol you like in your food). Then add the chili flakes, cream, salmon, peas, salt and pepper and simmer for 5 minutes. Add the chopped fresh parsley and lemon juice and cook for another minute before adding the pasta and mixing everything thoroughly. Serve hot and enjoy! This is delish!! Love it!